Ensure your home is very secured this season. Check your doors and windows to ensure all locks are intact. Invest in a home security system that’ll protect your home if you don’t have one already. 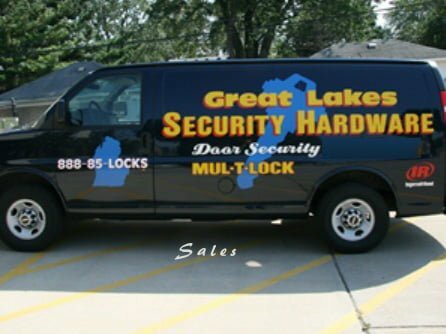 You can purchase from Great Lakes Security Hardware. Call us today at (888) 855-6257 or fill out our contact form. Locksmiths have been offering invaluable locksmith services for centuries. Locksmiths are the people homeowners call whenever they find themselves locked out of their residence or they need change of locks, old lock re-keying or any other issues involving locks. As a modern locksmith services provider, we use modern technologies to provide security to homes, cars and valuables. This has happened to almost each and every one of us. Due to one reason or another, homeowners get locked out of their houses. When this happens, we help them get back to their houses. We have the necessary skills to open any kind of locks. Re-keying a current lock is cheaper compared to getting a new lock. This is done to make all existing keys inoperative. When a lock has problems, and a homeowner does not know the actual problems, we can come by for a service call. Our rates are very reasonable. Since we are licensed locksmiths, we are professionals in fitting additional security systems , including door bolts, and electronic access control systems. These enhancements help homeowners to safeguard sheds, garages and other areas where there is rampant theft. We also offer security systems including alarm features for detecting fire, smoke and extreme temperature. These alarm features make a home much safer to live and can save lives. We create duplicates from any set of keys to suit any kind of lock a customer wants. We do duplicate auto keys, transponder keys, and other security keys. We also offer repair services to our customers. When a lock or security system is broken, customers can call us to have it fixed. Car owners may leave their keys in a locked car, or they may be stolen, break or get lost. We can help gain access to a car. Sometimes, car keys get stuck in ignition or won’t turn , we can mend the ignition or replace it. When a person relocates into a new home, they may want to change locks. This is because other people might be having copies of the keys that were used before. We can fit ideal locks to protect family members and the belongings. We can also inform a homeowner of the necessary locks so as not to invalidate an insurance policy. These are some of the locksmith services we offer homeowners.